It's not often that a sixties band meets an eighties rap/hip-hop group for a musical collaboration is it? And what a bizarre one it was, too! "Wipeout" peaked at No.2 in the UK, being held off the top spot by Rick Astley's Never Gonna Give You Up. The single entered the UK singles chart at No.41 on 16th August 1987, and by 6th September had climbed to No.2. The track was a cover of The Surfaris instrumental hit single from 1963 (which reached #2 on the National Billboard Chart in the U.S.) and featured on the group's fourth and best-selling studio album Crushin' which reached #8 in the boys' home country. The Beach Boys provided the backing vocals and also featured in the video. The track was a cover of The Surfaris instrumental hit single from 1963 (which reached #2 on the National Billboard Chart in the U.S.) and featured on the group's fourth and best-selling studio album Crushin' which reached #8 in the boys' home country. The Beach Boys provided the backing vocals and also featured in the video. 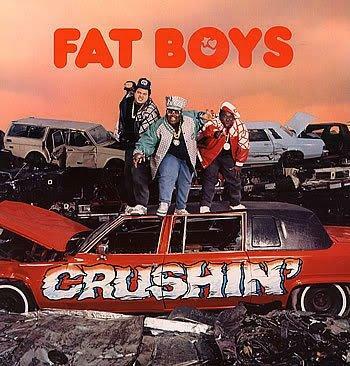 Fat Boys started out as Disco 3 for a very brief period and were a hip hop trio from Brooklyn in New York. They released their self-titled debut album in 1984 which reached #48 in the U.S. album charts. Band members were Prince Markie Dee (Mark Morales), Kool Rock-Ski (Damon Wimbley) and Buff Love (Darren Robinson) also known as Buffy, The Human Beat Box and DJ Doctor Nice. 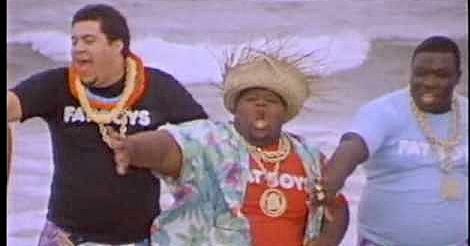 Whatever happened to Fat Boys? Buff Love died from a heart attack at his home aged just 28 after a bout of flu on December 10th 1995, and was described as being morbidly obese. Prince Markie Dee went on to have a pretty decent solo rap career, and the single "Typical Reasons (Swing My Way)" topped the rap charts in 1992. Between 2008 and 2010 he was a radio host at The Beat WMIB in Miami, and since then has been a weekend radio host for WEDR 99 Jamz, also based in Miami. Kool Rock Ski is not such a Fat Boy now after losing a lot of weight. He rapped on a track entitled Diplomat on a new double album on Electro Avenue Records released in February 2015. He is also a radio host and is planning a new solo album for 2015. 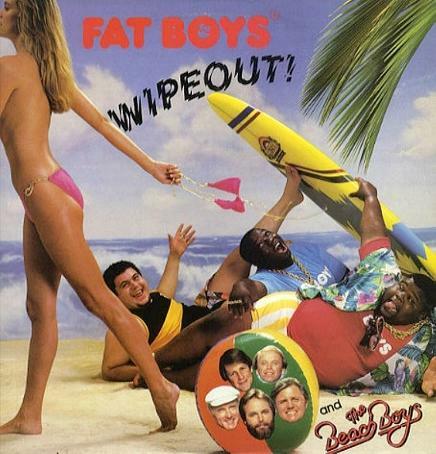 Following on from the success of their collaberation with The Beach Boys, Fat Boys teamed up with 60s singer/songwriter Chubby Checker for their 1988 cover of his chart-topping hit The Twist. Checker's version itself was a cover of a B-side by Hank Ballard and the Midnighters which was released in 1959 on the single Teardrops On Your Letter.